Felix Elwert, Ph.D., is the Romnes Professor of Sociology, and affiliated Professor of Biostatistics and Medical Informatics, and Population Health Sciences at the University of Wisconsin–Madison. Elwert’s research focuses on causal inference in the observational social and biomedical sciences. He is the the winner of the 2013 Causality in Statistics Education Award from the American Statistical Association. Elwert investigates under which circumstances non-experimental data can reveal causal effects. Current projects include randomized field experiments for peer effects in education; Mendelian randomization for social network analysis; neighborhood effects; and the uses of graphical causal models for applied observational research. 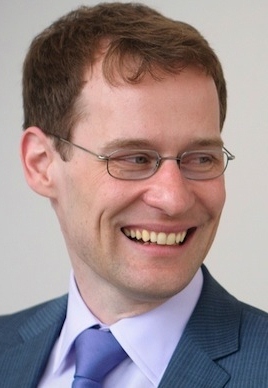 Elwert obtained his Ph.D. at Harvard in 2007, where he studied sociology and statistics. He is a highly regarded teacher and regularly offers courses on causal inference in the United States and Europe. His work has appeared in leading journals, including the American Journal of Sociology, Demography, the American Sociological Review, and the American Journal of Public Health, and Biometrics. He has received multiple Honored Instructor awards at UW–Madison. In 2018, Elwert won The Leo Goodman Award from the American Sociological Association, which recognizes contributions to sociological methodology or innovative uses of sociological methodology made by a scholar who is no more than 15 years past the date of the PhD. To visit Elwert’s UW faculty webpage, click here.